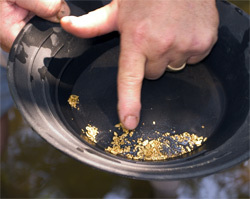 Make ﻿Your ﻿Prospecting Adventure a Success"
How to Know Where to Find Gold! Most people don’t search for gold properly – that’s a fact. I'm talking about something totally different. But before I start getting into the nitty gritty with you, Can you to do something for me? This will take your prospecting skill to a new level. This isn’t simply using your gold pan to find gold. No, it’s more about using your gold pan to magnify the clues that show where to find gold. That’s what anyseasoned prospector will tell you. Being able to spot and understand clues that will tell you where gold is concentrating is crucial to success. Regardless, if you can look in creeks or rivers, even if you are hunting the elusive Mother Lode, you’ll benefit from getting this new report - 20/20 Gold Prospecting. By becoming a better, more effective gold prospector you learn where you should start you prospecting endeavors. No more guessing & digging endlessly, while you keep on going deeper... Nobody likes to be frustrated when you should be having fun, right? Seasoned experts use these essential step by step methods to find out where the gold really is. The gold pan is also used to recover the nuggets and fine gold after you’re done gold mining. As you will find out when you get 20/20 Prospecting, you will learn a few good ways to make sure you get the most out of your work, and get the desired results much faster than you would ever think possible! ﻿﻿get started with 20/20 Prospecting. Your gold prospecting ability is about to jump to new levels. 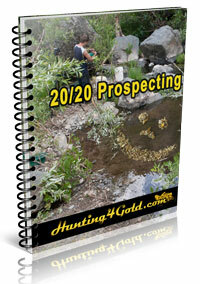 ​Get “20/20 Prospecting” and find gold on your next adventure. 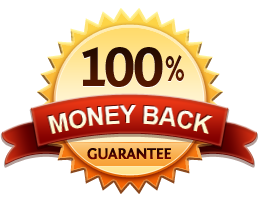 You also get our no hassle 60 day money back guarantee. P.S. This report is instant digital access, so there's no wasted time waiting for the FedEx truck.